The wonderful visitors to PetCyClopedia.com all love animals this we are sure. Many are avid hikers and nature lovers as well. Well we have a treat for you. The people over at DinoCreek have been creating some amazing articles and even more entertaining YouTube videos. Check out the DinoCreek YouTube Channel. 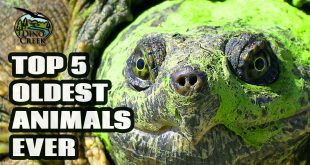 We've surfed their site and these are what we consider to be the best animal and nature articles. 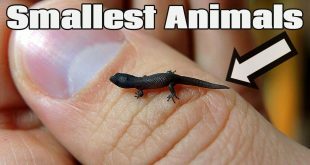 From their website..."These are the 5 smallest animals in the world. For most animal lovers, the cuteness factor of any animal increases the smaller that animal gets." 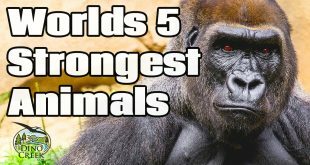 From their website..."These are the strongest animals in the world. If you think that lifting weights for the past week has made you stronger than a gorilla, you’re wrong!" From their website..."These are 5 of the oldest animals ever to live. Humans are at the top of the food chain, but despite common knowledge we don't have the longest lifespan in the animal kingdom. "